Arun Gupta is Chief Information Officer at Cipla Limited. He specializes in transforming Business IT and is recognized as “Strategic and Business friendly CIO”. From March 2007 until April 2012, he was Customer Care Associate & Group CTO for Shoppers Stop. Under his leadership, Shoppers Stop has won the coveted NASSCOM CNBC IT User Award in 2010 amongst many other award winning technology lead business initiatives. He was inducted to CIO Hall of Fame by CIO Magazine in August 2011 and Global IT Leaders Hall of Fame by InformationWeek in October 2010. Arun has won many accolades including “The Global CIO 50: IT Leaders Changing the Business World”, by InformationWeek. In 2011, he was voted #1 in a peer vote as “The Most Respected CIO in India” poll conducted by CIO Association of India and in February was conferred the title of CIO of the year 2012 by BizTech2.0, a CNBC TV18 company. His career spanning over 28 years include senior positions at Philips, Pfizer, Hughes Telecom, DHL, DSP Merrill Lynch and Great Eastern Shipping. 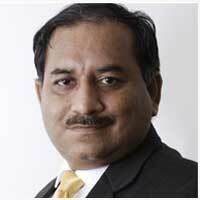 He has held P&L responsibilities at Shoppers Stop for the Food & Beverage business, Internet Service Operations at Hughes Tele.com and ecommerce logistics at DHL. Arun is President of TDWI India and earlier was the chair of Technology Committee of Retailers Association of India; he has been on the Advisory Board of CIO Magazine, from 2005-2009. He is an invited speaker globally on varied subjects in business and IT. Arun is an active blogger under the pseudonym “CIO Inverted”.